“Typically Swiss”, KWC Tapware meets exacting standards, and will maintain the reliability expected of a Swiss product for years to come, even in the most hard working areas of the home. 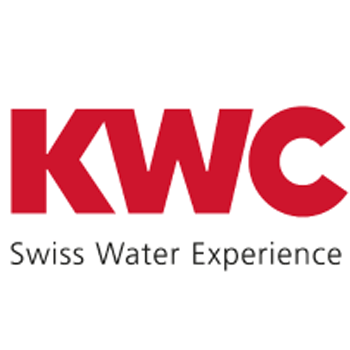 Leading Swiss tapware manufacturer, KWC, introduced the world’s first pull-out spray faucet in 1957 and incorporates typical Swiss precision in the design and manufacture of all their mixers. Since the early beginnings of the company, innovation has been a major priority at KWC, with the company developing an unparalleled reputation through world-class design, the best of Swiss precision and the ultimate in engineering and long term functionality. Today, KWC is distributed in over 50 countries around the globe and seeks to enhance people’s appreciation of the precious commodity of water and increase the joy it gives. KWC products embody the traditional values of Swiss craftsmanship, both in their functionality and in their aesthetics. Cutting edge design and innovations include KWC lighting in the Eve sink mixer to illuminate the water flow, and the Ono’s signature ultrafine pin lever that not only gives the unit a stylish appearance, but can withstand up to 10 kg of pressure, assuring you of its reliability for years to come. Several other ranges of tapware for the kitchen, bathroom or laundry are available from KWC in many different styles, meaning that you’ll always have options when searching for a product to suit your current décor, or when you’re planning an all-new design. What do you want from your taps? Reliability, endurance and style are just three of the qualities that exemplify KWC. Using Swiss engineering, the KWC range of tapware won’t just deliver fresh, regular water to your kitchen, bathroom or laundry for years to come, but help to create a space in your home that demonstrates your commitment to good design.